Central 46’s High Spec Training facility is the result of a collaboration between the 12th Division and the Kidou Corps, to create a room specifically designed for the development of new technology, skills, and replicating specific conditions for combat training. Equipped with highest grade reishi resonant technology, capable of focusing the spiritual energy to create small range projections of physical manifestations for limited period of time. These projections can be used to create not only customer designed terrains, but also a number of field conditions such as rain, snow, etc. in fields that can stretch on for what can feel like miles. In effect it is a near perfect simulation zone, ideal for all types of training. Precise range data tracking between .1nm and 100km when the room is not active. Visible range markers allow users to seed the distances between any two points in space at all times. Precise power scale tracking, able to record and relay the power output information of most abilities in terms of Kidou. Able to instantly recall past training zones from a list of training parameters. Additional features will added periodically with the advancement and refinement of this technology. [*]List Currently Unavailable due to recent maintenance. 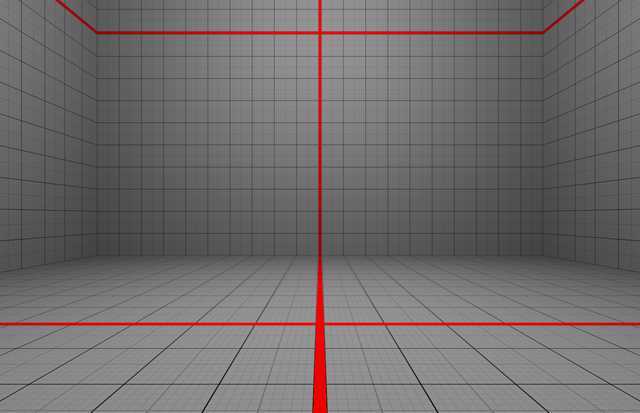 Please create new Zone Data. Shortly after He had offered his hand in an attempt to shake the large man that occupied the chair that he heard a voice, a voice he had heard once before, a voice of a mysterious girl who appeared to be in her mid 20s if appearance can be deceiving. Sovereign spoke on about how untested he was and the two men with him and somehow Arthur felt annoyed by that girl’s statement for he had uncovered an unraveling Truth one which if left unchecked would be the end of Soul society as whole. ”Nandatto? The fake smile he had put up earlier suddenly vanished just as fast as it came. A few seconds later once Sovereign was done talking, A portal opened up and she came forth like a baby being born. Like before the commander masked her appearance and so she went straight to business. ”She doesn’t bit around the bush huh? It is surprising that she would push the results of my assignment to a later day...... That girl His thoughts were gone unnoticed by the three around him. Nothing much to be done and nothing much was said, he just had to follow her orders to get to the facility she linked with her portal. A new test awaits them maybe this one had more to do with combat. Arthur entered the portal without waiting for the others and soon he was gone. Sovereign’s portal brought him to a large room mostly made of white, if Arthur had any knowledge in technology he could easily tell from its appearance that this room could run simulations bringing out images and places of the user’s choice. It was the perfect place to test out the abilities of those that trained here. Being the first to Arrive Arthur could do nothing but wait. The large masculine figure stepped through the shimmering light with a demeanor signaling discontent for the purpose of this meeting, but perhaps he still had a lot to learn, while of course in a world he was yet to fully grasp. Face still veiled by the cloth covering, he observed the first being to fill the large empty space which they both now stood, waiting patiently for others to arrive. Particularly the one named Sovereign, a female figure clearly in charge in these areas. He wondered just how much longer he would have to wait, and of course the one named Ghost seemed all too excited about the nearing event. Still, his attention was focused on the first individual he encountered upon his arrival to the Headquarters, one who seemed to give off no emotion whatsoever, but possessed quantifiable spirit presence as the others. At this point all he could do was wait despite his growing discomfort. A quick run through at his surrounding told news of a vast, empty room with seemingly infinite square blocks of black and red paint, sectioned across it's interior. He would slide his hands into his pockets as he watched on. In simple steps Hazuki walked out of the shimmering path of light with arms crossed within black garments. With brows arced and eyes darted across marbled fields, he quickly took in the feel of the new location observing with keen interest the interiors of the new location which was unlike the last. In a glance he could tell a lot about the arena as there where actually so little to admire. Everything looked the same and spanned out a reasonable width and height. In that same glance He could tell he now knew a little less of what he was about to face, however he wasn't in this alone and that alone served to comfort him a bit. Bringing back his view to meet the two in the room, he immediately took note of the missing presence of their commander and instructor for the anticipated training section. However, his attention would still lock on those present in the room, especially one with more spiritual presence of the two. "Hello there" He uttered purposely avoiding the use of the kidou spell meant to mask speech. "So whom among you knows what we are up against?" he continued as he walked up to join the two. Noticing the level of secrecy maintained thus far, Hazuki would only imagine both individuals avoiding any dialogues with discriminating details. However, hoping he wasn't turned down the Shinigami would only press on aiming to gather as much information as he could, especially before what ever they where waiting for comes into play. It didn’t take long for more visitors to arrive the facility, no doubt on the account of our Commander the same people Arthur had left at the Corp Headquarters. Noticing that it was the muscular man who was the first amongst the new recruits (fresh blood as he would prefer) to arrive. Arthur threw a quick glance at him and all he could read from the man’s face was intense. He had thought to go greet him but Arthur shoved the thought aside. he could tell that the muscular man was like him, he didn’t talk much. Not too long after the first recruit arrived came another. He was 5ft tall and clad in a black garment. ”One more left” He thought as he watched the slender man walk close to him posing a question. ”Following what she said, she said we were untested and unproven. If we were to analyze that critically it would mean two things.” He paused as he thought he felt a presence. Maybe he was imagining it, however Arthur chose to continue. ”How we use the Kido we specialized in and how well we are at gathering informations” That was all he could say on the matter. Sovereigns voice echoed through the light of the portal, where she then emerged moments later. She paused, and the portal closed behind her. Suddenly her whole demeanor changed. Though her face couldn’t be seen, her emotions would come through clear as day. They way she stood, made her unrest clear. She would’ve paced back and forth if it weren’t for her responsibility to present herself as the unyielding leader she was trained to be. Despite the body language, she remained calm, composed, and focused on the task at hand. It was odd. The conflict in her voice was clear as day. One could not mistake the reverence and the utter contempt in her voice as she spoke of him. His skills and affinity for Kidou and combat in general were hard to deny. In fact they were so prolific that respect was a guarantee. Yet at the same time everything else about him was reprehensible at best. A perfectly disharmonious blend of remarkable fighter and poor leader and being melded into one. A sigh of relief though, as his presence would no longer be allowed to plague Gotei and it’s ranks as it once did. Sovereign snapped her fingers and the room rumbled to life. All sorts of lights and sounds filled the room as both Kidou and machine danced in perfect unison to create a a series of objects. The first was a rather impressive looking block of pure and hardened steel. It stood about as tall as Sovereign did, and was about as thick as her arm’s length plus a sword in hand. In all, something that would not be so easily destroyed. The second stood a massive canon. Far bigger than anything had any right to be, and for some reason it was radiating with an impressively large reiatsu. In fact it seemed almost comparable to that of Captain. If fired the resulting attack would almost surely be immense. The final, was much more animal-like in appearance. In fact, or resembled an origami dragonfly. It was roughly the same size as the cube though not as wide; it was more human-like in terms of girth but still quite large. First it looked around curiously to survey its surroundings and then what it understood to be potential predators. Immediately after it began flying about the room at an alarming pace mimicking Captain level speed. In fact it would be almost impossible to follow for slower individuals as it moved at a shunpo-like place. What was more impressive, however, was its extreme level of agility. The large replica insect seems to dart about at all sorts of impossibly sharp angles, even able to change and reverse its direction on a dime and all without loosing speed. She stepped forward and then pointed at ghost. She then pointed to Hazuki. ”You will need to give yourself a code name. So, your trial is thus. First decide your code name, and then face the canon. If will fire a pretty nasty blast of energy at you once you find yourself ready. I’ve calibrated its power output to match that of Hadou 88: Hiryuu Gekizoku Shinten Raihou, which will ab-so-luetely blow you away if you aren’t careful. Stop it’s blast from hurting you. ”Your goal is similar. First make your codename known to us, and then simply capture the dragonfly... wherever it is now. As previously explained, there will be no restrictions on how you decide to solve your various problems. Feel free to use any available spells you see fit to tackle the situation at hand. I will not be giving any hints on how you should approach these problems, nor what my expectations are. Though you should aim to “impress me” or rather prove why you should be considered worthy of your title with your responses. You may use your three attempts in one post, or in multiple posts if you’d like to take your time. Though the number of posts nor level of detail will have any affect on my judgment here. I only care about how you complete the objective. If you decide to make multiple posts I can judge each one as you make them, if that’s what you want (just ask for as much in your post) or I can judge all 3 when you decide you’re finished. If you have any questions or need clarification if your objectives, or the rules just let me know. Good luck! Just as he had imagined the figure "Ghost" reacted to his question first, speaking up to give his own point of view. ”From my guess,” he started “it looks like we are in a simulation room which is a form of combat training and if I am right then we are most likely to prove to Sovereign how good we are in Kido”. ‘How good we are with Kido?’ Hazuki wondered as the tall man carried on his speech. He watched on in silence while the man went further ahead to back up his claims with more critically analyzed reasoning however before he could finish up his theories the commanders voice rang out, confirming the words Ghost had said thus far. Reclaiming his view from Ghost, Hazuki threw his glance at the shimmering portal of light which eventually spat out the commander. She walked in as she had done earlier before and seemed to already have a good scope of situation so far. Adjusting himself to acknowledge her presence by stepping a few ft sideways, allowing her passage before them, he watched on as she picked up the discussion from the end where Ghost had left it. “Kido is much more than a tool” she voiced, taking her time to allow the words she spoke sink into their skull. Continuing almost immediately, Hazuki felt himself going through his early oriental days once again. A time of his life where all he had was his academy suit and a kendo stick, which could also pass as his only achievements. The atmosphere it brought felt completely similar, only this time he wasn’t a novice, nor could he be considered one. Solus he imagined wondering who that may be. The name wasn’t something he’d never heard before 'but where?' He wondered feeling perplexed at the thought of it. Looking forth at the commander's reaction to his name, he quickly felt odd such person deluded his memory. However, this wasn’t the first time such had happened as some of his memories still remained unchecked. Continuing with the flow of the commander’s speech, most of her words quickly flew by with his attention not particularly emphatic on any further point. At the snap of her finger the once familiar oriental feeling he endured vanished with the circus, sprung up to life. The room they stood on quickly became vibrant and full of life with colors and kidou dancing around empty space. His eyes dithered for a while as he observed various shapes and form come to life. What they were he could quickly guess but why they were chosen remained a mystery to him though the show of light was still enough to trail his thoughts along. Like an alarm clock and as if tuned into the frequency of his mind Sovereign quickly spoke up giving detailed explanation of her actions. She quickly gave each one of them specific instructions which for him, demanded he first called out a name he would love to go by before picking a fight with a target, which could easily pass for a canon several meters in height already radiating with enough power to level the room. His companions also picked interesting little gadgets to play with; however none of this mattered to him not when he’s been challenged to an open battle by the commander. His opponent object or man stood no chance and that he was ready to prove with the least of efforts. “Call me Ace” he quickly uttered stepping out from the bunch to go meet his trial head on. However, Hazuki wasn’t the only one feeling particularly ready for his trial, as he would immediately come to notice the cannon before him sparkling with an extra juice of energy with its nasal pointed towards him. Feeling the sudden need to move the Shinigami would quickly flicker away in shunpo appearing due west in a 1.5km dash. His move carried out unhindered in one swift swoop immediately left him in a distasteful mood as he came to realize the cannons trajectory swiftly shifted towards him, with its mouth still geared at him without letting out its previous charge. "Time drag?" or "lock on discharge?" He wondered as he mentally played out possible weakness which the cannon may pose. Before more info could be registered by the pale captain, a swift streak of lightning quickly echoed trough followed by an expanding arc of destructive waves causing him to widen his eyes in disbelief. Stiffening his body in response to distribute his body weight, he quickly leapt to the sky ascending carelessly to avoid certain death. His demeanor though in haste maintained perfect composure as he analytically watched on, seeing the power of the cannon blast rattles open space. So much power he reluctantly whispered seeing the site of a totally ravaged terrain. However, controlling his drift through space he quickly made landing for a safer zone free from the chaos. Stumping his foot two times upon rigorous floor in a backward drift, the captain fought to maintain balance allowing the wind strode him by as it tugged unto his fastened mask. His cloak staggered with his eye laid bare on the massive cannon which had started to accumulate its charges. The wind immediately felt pale with the summer dust coiled unto his polished heals. Feeling particularly odd about these elements, Hazuki immediately darted a conscious glare at his surroundings only to notice the sudden change in topography from what could have passed as an empty hall to some sort of rocky plains. Interesting He thought as he came to find reality warped around him. Nonetheless, that wasn’t enough to keep him standing as one would easily observe, a man dashing forward at frantic pace. His form seemingly un-wavered by the raw power he’d witnessed before, Hazuki pulled forward only choosing to run this time without the aid of his shunpo as he whispered slightly a chant of his own. His left hand shifted swiftly for the pommel of his left blade, only to realize he had come with none of his dual blades in the first place. "Tsh" he grunted in disappointment with the gaze of the cannon set bare on him. In no distant time, the cannon lets loose once again rattling clear plains as it had done before. The Shinigami responding instinctively to the rage quickly darted to his left with a ball of Shakkaho hurled towards the incoming wave. Aiming to intercept the cannons midway, Hazuki found it convenient his ball of red flame which had already taken form on his right palm prior to his chant was at least ready at times like this. The ball of red flames though not equal in might to the cannon blast would on contact be enough to evenly disperse its blast radius around the field and at point of contact giving Hazuki the time he needed to stray free from direct hits. The wave of destruction caused by the aftermath of said impact however would smash into him covering him in clouds of dust and debris while the snagging winds violently pulls him away. Tearing through the veil of dust, the Shinigami would appear tardy and in some sort of pain as his movement wouldn’t appear as flexible as it usually did. The dust cloud would still persist on but not so much to obscure individual figures from view. Taking a few more steps forward before placing both hands on the floor, the figure would mentally count down as he begin a chant audible enough for all to hear. "Wall of iron sand, Tower formed from hate, forge molten iron and!" however before he could finish his chant the Cannon would once again release another round of blast, though this time not as fully charged as the last. The blast would travel unhindered as Hazuki would find himself forced to allow this as it had served to enlighten him on his targets range of influence. "Finish in silence" he would eventually whisper putting an end to his former spell as all would come to see him shimmering into existence a few meters behind the cannon. The blast which it had earlier let loose had however slammed into a figure identical to the captain. One which would be later revealed to be only a clay doll brought to life by the spell “Seinarudou: Rokunodo –Tsuchiningyo Houkounin”. With the spell skillfully employed during the obscurity caused by the cannon second blast, Hazuki gained ample time to mask his presence with a second kidou spell "kyoukka" before employing his shunpo to gain grounds on the cannon. His move had been a gamble on his side, however not all was done mindlessly. Going back to the calculation he’d gathered so far with the cannon the pale shinigami had hoped to take advantage of the shoot on sight theory he had about the cannon and luckily it worked. Also by simply reciting his final kidou spell through the mouths of his clay doll, Hazuki had also made sure to keep attention on it, while he monitored its discharge to gain further info. With the final words of his spell spoken, five incredibly tall and thick pillars which are connected to each other by chains quickly slammed into the cannon neck pinning it mouths first into the ground while other parts of it followed through, crashing off balance for all to see. "Restart" the captain uttered silently, preparing himself to take a second go at the huge cannon. Arthur shifted his gaze from the new appointed grandmaster to face the appearance of their leader, she came in the same fashion as she always did and as subtle as she always had. Sovereign confirmed Arthur’s theory about the reason for their proposed meeting in the facility to be true not that it was ever a doubt that he Arthur was wrong anyway. Sovereign spoke to all three present in the spec room as she went ahead to issue each of them a specific challenge of sorts. Arthur’s challenge was for him to destroy the metal block that had been summoned by her, while the others had different challenges of their own. Arthur took a few steps forward as he raised his right hand so that the flat surface of his palm was facing the metal block as he began to combine three Kidō spells together. Arthur muttered the words in a whisper, the explosive nature of Shakkaho was combined with two powerful lightning spells with one posing a low power while the other was of a high power. Combined together along with the the Dayne Man’s Captain Level Reiatsu, they raced at the immobile metal blocks, with a loud explosion the metal blocks blew up into tiny piece of metal plates all around the floor. At the command, the room went back to its original state with the metal block returning to its unharmed state. Arthur without much thought, he began to issue out another spell. Still with a low voice, Arthur released the mighty spell at the metal block. With its power exceeding that of the metal block’s threshold and durability, this time the block was blown away without leaving any trace behind. With that the second attempt was over. Like before, when the word reset was ordered the room went back to its previous state with everything returned to its state. With the release of the high level Kido spell for the second time, And like before, the metal block was obliterated leaving no trace behind. Emi’s voice thundered. She stepped forward, making her way through the chaos of training to the center of the room. At this point the simulation would grind to a halt. She turned, on her right heel to face Ghost. Each move was rigid, tense, deliberate. The precision in the motions were like a samurai practicing her forms. She turned away from him, and calmly spoke the words ‘reset at position X: 32, Y: 17, Z: 4.3’ and a new cube formed in front of her. From there she drew her zanpakutou, and her left foot slid forward as she gripped the blade with both hands and pulled it back towards her body. She held the weapon upright, her arms folded and bent a few inches in front of her chest, leaving the blade to rest near the right sight of her face and angled just a bit behind her head. To her this stance was known as Gyouten Shisei. Even when she did not command the power of her Shikai she still practiced her fundamentals. Her voice was cold, lifeless even. Her body, her reiatsu, her very presence radiated with an intense killing intent. In this moment everything about her projected a focused and immense strength. Then the blade exploded with energy. Arcs of lightning jumped out in every direction from the blade. Some hit the ground leaving little scorch marks while others jumped at the walls and whatever else. Yet for some reason the lightning refused to lash out at Emi. Of course, to the trained eye it was simply being warded of by the force of her reiatsu. In the dead silence of the room the only the cracking on the wild electric energy could be heard. She held her position momentarily, her true intent unclear but quickly from beneath the amber light of the electricity came a separate, crimson glow. At that point it became clear. By focusing the current into the blade, she had made use of the electricity’s power and superheated the blade to extreme temperatures. Before long it became white hot. Almost like plasma, the blade became nearly impossible to to look at directly. It did not last long however, for things had reached their conclusion in a flash. Two lines of molten steel had appeared to form a cross (十) that originated from the center of the cube and reached out to its edges. In that instant Emi had slashed the cube twice. With the immense heat radiating from her blade she was able to cut through it like butter. She turned back around, flicking the weapon as one would when shaking the blood off. Just sparks dissipated and the cube fell to the floor in four, almost perfect smaller cubes. The four sections of cube reassembled into one massive whole, and slowly the points of damaged had been mended. Then after the cube slid back into position in front of Ghost. By now the blade had cooled and she proceeded to sheathe it before quickly returning to her previous position to once again observe the proceedings. Just single word changed Arthur’s expression behind his mask to a frown. He had little interest in skirmish such as this which was why he chose the fastest and the most efficient way around the challenge; facing it head on. With his voice as low as usual, Arthur took out his Zanpackto while he called out it’s true name. His sword lost its shape taking the form of two metal gauntlets that ran from his shoulder all the way to his finger tips. Arthur called out the name of the spell but he would masterfully channel the flames to his right metal hand as it became enveloped by fire and black lightning. His main reason for releasing his Zanpacktou was for his gauntlets, they serve as protection against the flame else he gets burnt. With a crude smile on his face, he moved his right hand at a speed so freighting to the eyes that he blew the metal block into oblivion. To the untrained eyes it would appear as though the block shattered at his touch, but the reality of it was that at the moment of contact, the heat from his gauntlet which was covered in red flame and black lightning burnt through the metal block like it was paper. The hall began to rearrange itself at the command word. With the spell called out, Arthur’s gauntlet penetrative power was increased by the spell as he manipulated it to his will while he lunched both his hands forward to land a blow at the Metal block which upon contact was split in two. Like before the room returned to its original state. Arthur uttered another spell but this time it was one affiliated with the way of binding, a yellow rope would appear at Arthur’s hand, the tall man would simultaneously channel a second spell related to the way of attack, one of lightning Nature with the ability and power to cut through things. Yellow electricity would run through the rope as Arthur whipped the rope like a laser rope at the metal block, a diagonal shaped line would appear at the metal block as the heated whip had cut clean through it like a laser beam would. Emi looked on in dismay as Ghost made his attempt one more. Again, nothing but power and excess. Even worse, the attempt partially amounted to an imitation of her own much less wasteful effort. Simply charging at at situation headlong was a sure fire way to die in the face of real threats. The straightforward were predictable, the predictable were fodder, ineffective, sloppy. She had no need for plumbers in place of surgeons. Ghost was proving himself to be the former. The core of this training, beneath the surface was preparation for mission that required the kind of finesse and display of expertise Ghost apparently lacked. Even moreso dedication and care for the craft. Her frustration was nearing its limit, and for the slightest of moments her reiatsu would spill out into the room and with it a wave of dread, a mere hint of the terrible force she contained within her and what would come had she last control. Yet, she striffled her emotions. Sheathing then as she would her weapon after a long fought battle. Out of sight, out of mind. She spoke. She called out to everyone, though her center of focus was quite clear. Despite that she didn’t expect an answer. “I did not invite you here to see how strong you were. Anyone could be strong, I’m living proof of that. Strength, is meaningless here. What we do is not like the rest of Gotei, simply fighting whatever enemies may come. If it’s your goal to be a musclehead and show off your strength, then the door is right behind me. We, are not soldiers. Or rather, the Grand Chief I am looking for is not a soldier. I want I desire only Masters. Not just masters of combat, but of Kidou as well. One master of this art is worth more than 1000 of the best soldiers gotei could offer. One well placed spell and their ranks would crumble. You may think you can just get by pretending to care, by just going through the motions merely imitating what you’ve seen, but not here. Imitation is not skill. Not mastery. Again, that same coldness in her voice emerged once more as she turned to Ghost. “You think power will stop them? You think power is why they were imprisoned to begin with? Do you think, as you are now, for what you just showed me right now is anywhere near what will be required for you to go out and capture one of those creatures? You’re probably unfimaliar with the ancient ruined burried deep beneath the Seventh Division before it was destroyed. If you are, it’s likely you never wondered who it was that created them, or even how those beasts came to be imprisoned there. It was the Kidou Corps that created. Thousands of years before our time. The same kind of prison we are the guards of. When the Seventh was lost, I was the one that moved each and every one of those monsters, and improsoned them all here. Strength was not what allowed it. It was my mastery of the same imprisoned them originally, that allowed me to accomplish this. There are others out there. Slumbering, waiting for their moment of waking and the chance to bring ruin to everything. Our duty, our real mission is hunting them. Her eyes narrowed, her speech was nearing its conclusion. Despite that, she would not ease up. Though her body and appearance betrayed her, her grip was ironclad. In a lot of ways she weileded the same unflinching authority her former master once did. However, unlike Solus who was much more like a mallet in his approach to things, she was the surgical knife. Small, fragile looking, but a blade of nigh unparalleled sharpness. A blade that so finely balanced life and death on its edge. Emi was that blade. One who despite her looks, could easily save, or slaughter. In this case, this moment would end in slaughter. Her hardline stance on the matter was as unwavering as her aura she projected. There was too much at stake for her standards to be anything less than the absolute peak. Again, a wave of dread would radiate from Emi, as her tolerance levels for underperformance had now reached their absolute floor. Yet rather than speaking with that some cold tone she had adopted up until this point, this new tone was empty. Not empty in the sense that it was missing something, but that she literally spoke in such a way that it would give the impression that further disappointment would result in her sending failures to the void. A never-ending pit of suffering and squalor, a blackness worse than death that none would ever return from. True, and utter oblivion. This was the sovereign underneath. A new breed of monster. One of her master’s making, and one far deadlier. One that would bite out the throat of its own mother, and feast on its remains, not for food, but just for the simple fact that she could. A nighmare in human form. ”Before that, let me try one more time.” The Dayne man said suppressing all the irritation he felt at the moment. He simply glanced at the now reset room with the metal block back to its original state. ”kyokko” with his voice as low like he never uttered a word, the spell became active. ”byakuri.” Another spell with a very cold and low voice, the spell concealed from the visible eyes he pointed his index finger at the joints of the Metal block. Each construction made must have joints holding and coupling it together so they stand strong, Arthur knew that which was why he chose to use electricity to burn those joints thus making them lose which would bring about the dismembering of the block making each joints holding and supporting the metal blocks to fall apart. Using a simple and low Kido spell to dismantle a metal block without was what Sovereign ranted about all day, with little motivation in him he did that much. Once he had fried the joints to his satisfaction, Arthur snapped his finger and the metal block crumbled with the joints now unable to hold its weight. The room and block returned the way it used be as Arthur got ready for another spell. ”Hainawa” with a command, four ropes appeared tied at the corners of the block with Arthur holding the ropes as he lowered it down the metal block rose to the air suspended. ”Shakkaho” immediately the spell was uttered, Arthur channeled the fire through the ropes as they raced and ran through the rope to the metal block hanging on the air suspended tied with the rope. As soon as the fire made contact with the block a loud explosion rang in the air. Yellow electricity would run through the rope as Arthur whipped the rope like a lasso rope for that was what he had made with the combination of both spells at the metal block, a diagonal shaped line would appear at the metal block as the heated whip had cut clean through it like a laser beam would. ”With this I am done. To pass or fail me it all rest in your hands. But I will make something clear, you are wrong. The objective of using Kido and the most effective way to utilize a spell is not by being creative or by using power, this is because it boils down to the timing of when it is to be used. In a situation being creative works, and also in another situation just raw power to burst through is needed. Every and all opponents have a specific way to deal with using Kido. That is all, do as you want. Again she watched, but this time she showed no emotion whatsoever. She simply waited for the end until Ghost said his piece. Little did he know just exactly how far apart they were. Entire universes apart. Emi was not wrong. And the three would see a true Grandmaster of the arts in action. Emi took center stage once again. The three objects melted away, and reformed around her in a triangle formation, giving roughly a 10 meter space between both her and each other. She turned, facing away from the canon, towards the dragonfly and then watched as it zipped away. A moment later the cannon started charging. Emi could not see, but she could feel it’s power rising. Still, she ignored it. Instead she kept her focus on the dragonfly, studying both its movement and its speed. Time was running out. The cannon was just a moment away from firing. The light at the end of the barrel had grown both bright and violent, signaling the end of its preparation. Just a moment before it did, Emi turned, throwing a sphere of intense red light as she yelled the words ‘shakkaho’. The light tore through the sky seemingly making its way for the cannon, but it veered off to the side. She apparently missed! For all her talk, it seemed talk was cheap. Some master she was. All her nonsense of about how Kidou should be used, how Ghost had failed, and so much more. In that instant she did nothing but prove Ghost right entirely. A liar, a fake, a failure. For that moment, this is what Emi turned out being after all. She had one objective and one objective alone, but couldn’t even accomplish that. Hitting the cannon would have been so easy if she were truly a master. How could this be? This clearly wasn’t right, except for the fact that orb missing was entirely by design. It hit the ground a short ways from the cannon on the right just as it fired. The force from explosion caused the cannon turn away and face the cube. Its shot now had no choice but to head straight towards the metal cube instead instead of her. With that single shot, the cube was obliterated. Thousands of metal molten metal fragments were sent in each and every direction. Some even came for Emi, but she did not move. Instead she simply allowed the force of her reiatsu to deflect the barrage of shards. She stood there, waiting, but for what was unclear. A moment later a soft thud could be heard from the back of the room, it was the dragonfly. It’s wings were shredded and burning from being hit by the cube’s metals. Emi, without acknowledging the room, walked over to the dragonfly and picked it up before returning to her original position. The point where this had all begun, where she had been watching from the start. She said no more. What else could she have said at that point? Ghost could not have been right. They were opposites in every way, shape, and form. Where he had used multiple spells to solve one singular issue, she used one spell and solved several issues near simultaneously. This went beyond the mere Mark of Mastery. Emi was a Grandmaster of the art, one of such refined skill that even weak spells could be weilded with extremely deadly efficiency. She was a Master of and to Masters, and not just for show. For Ghost to speak at her the way he did was like a wolf howling at the moon. The moon would never hear its cries, for it was so much greater; it was so far out of the wolf’s reach. The audacity of the effort. Yet, aside from her last act, her taking to her silence meant that she would clearly offer no further acknowledgment of the situation. Of course, this would leave whether Ghost had failed or not entirely a mystery. Perhaps he would decide for himself if he was worthy or not, especially in the face of Emi’s performance the results may prove interesting. Perhaps the others would decide. Whatever his fate was, and how it would come to pass would clearly not be determined at this time. Instead, Emi simply stood there, waiting for the others to complete their trials. Hazuki uttered, gathering the elements to its original state with the cannon placed back at its position. Taking a few steps away from the cannon he quickly settled himself in a position of comfort with his mind running through the event of his last trials. He’d noticed it he told himself a pattern in its discharge mode which was consistent enough to capitalize on. However its timing had to be perfect he told himself and as such he immediately took calming breaths, relaxing his nerves with eye raised to meet the cannon. 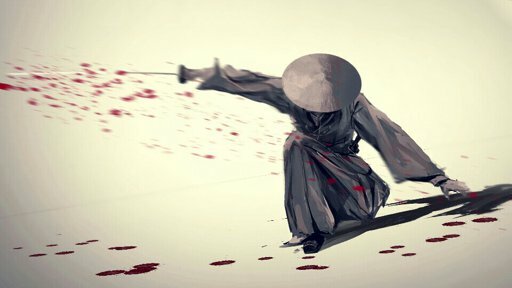 The wind around him quickly changed form, depicting a focus beyond that of an ordinary swordsman to that of a man set to slay an invisible foe only caught by the wind. To the captain the sense were a gift to man one powerful enough to decide the fate of battle. Immediately and without a doubt the cannon began its charge, accumulating power as it did before. However to everyone’s observation the captain immediately shut his eye lids with breath tamed to mimic the calm flow of a stream. In solem silence he quickly began his count,skillfully blocking out all other sounds till only the beat of the cannon played constant within his ears. Timing was all he wanted a loop between charge and discharge which he had convinced himself hard to exist. While the power of the cannon may have been intimidating through the perception of the eye, he had figured the cannon offered two functions as it had continuously discharged only when enough power rivaling the might of kidou no 88 had been achieved. It wasn't a coincidence he had convinced himself and all he had to do now was figure out its timing. In his silence his form remained dauntless while the cannons chaotic atmosphere quickly rose to the point of madness. Suddenly just as if the air had stopped, the Shinigami eyes quickly shot open, bringing back an intensity which screamed danger all around him. The cannon simultaneously let loose its charges, releasing an arc of devastating blast wave towards the Shinigami. 5 Hazuki murmured as he pulled himself off the ground, making himself airborne for a nifty flip above the intruding wave of chaos. Its claws moved unrestrained and with a macabre tune capable of putting a gap between the steady beats of a warrior heart. Without a target in place its blast aimed solely for the end of the room where it roared with absolute sovereignty, claiming power over matter. "5 seconds is all I get" Hazuki whispered once more stamping foot on top sturdy floor with his back turned against the giant cannon. His eyes quickly caught the explosive lightning and fire wave which rose to the roof and side walls, spreading its wings for all to see. However, from the vacuous look in his eyes one could immediately tell something more had his attention something beyond the wave that was already part of him. Spinning toward the cannon with the words Hyappo Rankan nesting at the tip of his tongue, a purple rod quickly made itself visible by his right palm, released simultaneously to take advantage of the spin. With the wind solidly behind its throw, the rod quickly disintegrated into numerous short rods which all geared for the mouth of the cannon. 3 Hazuki mentally noted as the rods in their number slammed shut the cannons mouth despite the energy accumulating within. However, despite the timely block the energy seemed to have no restrains as it continued its build up posing a threat to the stability of the imbedded rods. From a distance one could tell the outcome was going to be counterproductive as it had the ability to not only send out an explosive arc of destructive waves as it usually did but this time, the possibility of an additional flaming rod which could disperse uncontrollably had been added to the equation making it more formidable. This however didn’t bother the 5ft Shinigami the least as he stood still counting the words 4 and 5 before raising his right palm to the cannon. In the blink of an eye a lightning beam existed through his finger hitting the rods at its base to reveal a new chain reaction never imagined before. The rods quickly became hyper active as the charges sank into them, causing them to vibrate with so much intensity some of its charges existed threw various section of its body hitting the floor and space around. In no more than a heartbeat, the once dormant rods became a catalyst which reacted with the energy building within the cannon to cause a compound explosion. With its pent up charges already at its peak the resulting explosion created a close to 30 meters canopy wide arc which sent chunks of metal rods flying across the room with the cannon reduced to nothing more than black lines mapped above the ground where it once stood. The Shinigami uttered once more only to hear the words “Fail” exited through sovereign’s tongue, could it be he wondered with his head tilted towards the commander to know what the problem might be. He could have sworn he was being particularly friendly with his approach but what could the problem be he pondered. Turning to sport the commanders target of reference, Hazuki felt a little relieved it wasn't him at least not yet. Returning his gaze at the cannon to continue his trial, he immediately came to discover even his trial had come to a forceful stop, pending only to Sovereigns command. Maybe this was a good thing then, he stood to observe sinking his hands into his robes as he waited. Like a seasoned warriors, the commander wielded her Zan swinging it across the air with kidou proficiently added to aid her goal. In two swift swing its blade rendered a thick cube of man like puppets clinically severed into 4 segments equally halfed cubes almost as easy as one would cut through butter. Impressed by the sight of it, the Shinigami could only curse himself for arriving bare handed and would hope his careless behavior ends today. Following her sword display, the commander immediately went ahead to voice out her disappointments, but none of this was Hazukis concern not when he still had a round or two to go. With her done, the captain returned his focus to his trials only to feel enormous amount of energy permeate the room at the call of Bankai. “Bankai?” he queried wondering why one would need such level of mastery for tasks such as this. What was he thinking he further analyzed, deciding to give up on it without arriving at any tangible excuse. Like a shinobi he would hop back a few ft only to hear the thundering tone of the commander echoing through the room once again. He couldn’t say he wasn’t expecting this but was this going to be a problem he hoped not. Compelled to stand around and observe once again, He took note of the commanders concerns and worries which he hoped wasn’t as bad as it sounds. She immediately went ahead to dismiss the other candidate but assured the crew they had nothing to fear. Deciding not to continue immediately after that, Hazuki observed with utmost curiosity with a hunch all wasn’t over yet. His eyes trailed the full length of the man known as Ghost as he wondered what his next move would be. Like a man aimed to win, the individual quickly stepped forward demanding a go at it again. “Now this should be interesting” the Shinigami whispered holding off on his trial to see the outcome of his resolve. However unlike he had imagined the Shinigami left a distasteful reasoning behind his action despite knowing fully well this had been a test of ones creativity. Had he been a little more familiar with him he might have just walked up to the man to issue a little challenge. However it seemed the need to do so was irrelevant as just before his very eye the commander showed just how much a little bit of creativity could influence a battle scene. Impressed by what he had seen, the captain calmly shot his hazel eye with a smirk hidden behind his mask as he turned away from the crew. Walking back elegantly with the scenes replayed through his mind. So this is sovereign he imagined feeling particular excited he wasn’t being led by someone who couldn’t tie their shoe lace, so this is the Kido corp. His stay here was going to be fun after all he concluded with the words Reset whispered in renewed confidence. Like usual the cannon took its position charging up its blast like it did before, however already aware of its weaknesses and boundaries Hazuki didn’t feel the need to stand and wait for it this time. Instead the Shinigami ran towards it pulling his right hand in front of him to reveal two balls of red shakkao, hauled toward the target at amazing speed. Allow me to borrow this sovereign he whispered to himself as the balls drew closer to the cannon only to ascend upwards as if aiming for another prey. Simultaneously, the two balls assumed an on caning spin around each other as they drilled their way upward. However while they took off to the clouds, the cannon remained unfazed only pointing its guns at the one true target Hazuki. Its charges grew bigger and brighter but nothing could scare the captain not when all he had done from his first trial till now was test its limits all of which he was about putting into action. 2, 3, 4, he whispered quickly vanishing out of sight at the count of 5 in what would seem as a simple burst of shunpo which had left the cannon second guessing his location. Simultaneously and almost perfectly planned to occur after he vanished, the two orbs of shakkaho ascending to the roof quickly let lose their explosive power on making contact with each other. Their resultant blast quickly attracted the eye of the cannon, successfully causing it to tilt upwards releasing its pent up charges in the process. As if the topography of the arena had changed once more the room glowed with extra light like the sun had strolled a few more inches closer to earth. The roaring sound echoed though the entirety of the arena with waves of fire spanned across the hunted roof. Returning its mouth to ground level in search of its target, Hazuki would be found directly in front of it, with sparks of lightning emitting from his fingertips. Mission completed he would announce as he steps away from the cannon feeling particularly confident of himself. In truth he had not been star gazing when his blast and shut out and he had use that opportunity to get under the huge cannon severing all its just with a fine tuned channeling of lightning. Knowing well enough its balance was the key to its successful twist and turns, Hazuki had heated and chopped off critical points of its hinges leaving the fate of the cannon at the slightest of moves. Now all the cannon had to do was follow his movement as he stepped backed dew west towards the location where he started. By being the target victory was already guaranteed as it would immediately become apparent as the body of the cannon slams into the ground, rolling around uncontrollably without its brace and hinges. When the dust was down Arthur looked straight at Sovereign as she mockingly proved her Mastery at the art, one can be forgiven for thinking that she did that just to show him how inferior he was to her. That sight disgusted him for the tall man was at the very limit his tolerance could contain. Arthur said as he took three steps towards Sovereign, he knew he did not stand a chance against someone as powerful as she was, however just because she was all powerful it did not mean that her way of thought and actions are always right or so he thought. He took a gamble maybe threaten her a bit see how she would react, or just cut at her head on. If he was to go with the latter, he had one hindrance, Ace. No doubt if he should challenge Sovereign the man called Ace would move, which was why if he was to face the leader alone Ace would need to be out of the picture. His shunpo brought him behind Ace so he was directly behind Ace as well as directly facing Sovereign who was between Ace and Arthur, casting a clone in his wake with the sole aim of masking his movement for the clone left behind gave out a single word before dissipating. ”Forgive me Ace” Arthur trying to close down any means of reaction would quickly cast his spell ”Bakudo 75 Tozansho, Fushibi!” Arthur would attempt to trap Ace in an Inverted Pyramid as well as setting up an explosion inside the pyramid. Manipulating the spell so that he was not get trapped in the pyramid along with Ace since he was behind the man. ”Now it is just you left Sovereign He said while tilting his head at her. She said calmly, then turned to face Ghost. She wasn’t very pleased with his attitude nor him going after the others a, but she allowed it. It was only through this allowance that he was even still allowed to stand. Her titanic reiatsu flared forward with no restraint. With the dam thoroughly broken the full weight of the ocean her small body kept contained. She was reached back, as if to draw her zanpakutou but she stopped. A old ghotly figure formed beside her and reached out to place his hands over here. She turned to the elderly man, though only she would be able to see and hear him. He spoke to her in a stern, deliberate, yet oddly gentle tone. Bushi only fight with cause. “Master Reijin,” she whispered to herself, as the force of her reiatsu subsided. Her hand slowly retreated from the blade, and her whole demeanor returned to neutral. “Provoking me won’t solve anything. Hating me won’t solve anything. Throwing spells at the others will not solve a single thing. My masters turned the pathetic and weak faliure of a girl I was, and through watching them, learning from them, allowing them to mold me with their skillful hands was I able to gain the strength to carve my own way forward. I have become stronger, wiser, more capable than I ever could have alone. Emi sank down. Abandoning all attempts to show strength and power, she sought to rely on the reverse. She sat on her knees and bowed her head, lowering the entirety of her body to the floor in the ultimate display of humility. Strolling back to join the team, Hazuki observed the shinigami by the name Ghost walk towards sovereign, approaching her with some words uttered in discontent. It was wonderful to see he even kept at it Hazuki thought harboring no other thought or intentions as he continued down his lane. In a flash and without prior warning, the man named Ghost moved away, applying his shunpo to approach him at a supposed breakneck speed. Interesting Hazuki thought keeping up with the motions of the shinigami save from a few steps. His shunpo showed great proficiency and his approach confidence which potrayed the base behavioural pattern of one who was well gifted in the act of speed, and from the look of things maybe even more gifted than he was. His action quickly brought him behind the pale shinigami causing him to only dart his eyes to his right as the figure drew closer to his face attempting to whisper words into his ears. "A clone" Hazuki murmured calming his nerves by only closing his eye to listen to the words it had to say. “Forgive me Ace” it finished quickly, turning itself to a body of wind. “What was he after?” The captain only wondered holding himself from making further steps. It was clear to him he wasn’t the target thus the reason he had to approach him with a clone. However, whatever it was he knew had to do with him thus the reason for the early apology. Opening his eye to see a newly erected inverted pyramid, a smile quickly span across the shinigamis face as he felt himself being underestimated by his comrade. It was clear they knew nothing about each other but come on the shinigami mentally screamed wondering why he had even made the effort to conjure. Fine lines immediately ran across the interior of the pyramid but none of this bothered the pale shinigami not even at the slightest as the explosions quickly echoed through. What a bother Hazuki murmured letting lose an explosion of his own to guard himself. Without much effort a full reiatsu body blast spanned out from the Shinigami sending the flames aimed for him into the body of the pyramid casted around. The foundation of the pyramid quickly felt threatened as it wobbled and vibrated in great reverence. The flames quickly lined the interior of the great pyramid slightly blurring Hazuki from sight. Feeling particularly silly he a barrier grand master had been considered powerless enough to be trapped by a barrier. Hazuki only sighed to himself as he approached the pyramid touching a sction of the pyramid to influence it with his reiatsu. Like a pro and with enough concentration white line ran around his palm taking the shape of a rectangle to peel the section of the spell open. Opening it like he would normally do a door, hazuki quickly took in the fresh air while observing Sovereign and the shinigami dialogue in tensed atmosphere. Sliding his hands back into his cloak Hazuki stepped forward into the field only to have the pyramid seal behind him. His demeanor sat emotionless as he watched sovereign go down to her knees attempting to sway the shinigamis decisions. Still silent and in complete observation, Hazuki kept his nerve halting his advancement as he patiently awaited the conclusions of the man called Ghost. With Ace sealed the only sound that was heard was the sound of an explosion and the very floor vibrating from within the pyramid, as to what exactly occurred inside that answer was only known to Ace. It just Sovereign and Arthur left, alone in the training ground and so all that was left was for either one of them to take the initiative. Sovereign was the first to react among the two combatants flaring her oceanic Reiatsu in rage as she reacted to Arthur’s assault on Ace, which unconsciously brought a smile on Arthur’s face. Suddenly as if she was stopped by an unknown force Sovereign’s Reiatsu turned mute like it was never shouting, her demeanor, her rage suddenly vanished like a vapor would when it makes contact with the air, this was a shock to Arthur as he was disillusioned. That was not all that disillusioned the man, the nail on the hammer, the one to broke through his defenses was the very act of Sovereign going on her knees prostrating. It was unfair, she was playing dirty it was unfair to break him so easy like the way she did. Arthur clicked his tongue before taking a fresh breath to calm his tensed nerves for his full focus was on Sovereign and the rat that had just slipped through the cage it was placed in. ”Then I’ll be in your care please take care of me” The king of the Dayne Dynasty said with his head bowed to Sovereign. She stood, and now it wasn’t just her mind and body that calmed, but also her soul. The voice in side her soul, screaming to prove to her that she wasn’t Solus, she wasn’t the monster the monster he would have wanted her to be. In the end, Emi was her own maker. It would seem now that she had overcome the final stage in her growth.